Product Categories allow you to set up categories that different products belong to, and then when setting up the products select the category that is applicable to that product. 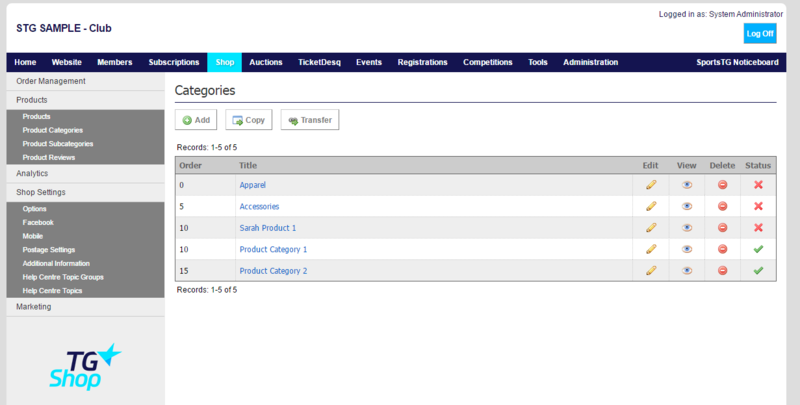 Product Categories also become the menu items on your front end store allowing customers to find products easily. 3. Click Add to add a new Category. 4. Give the category a Title and Order, then add any relevant Detail or Images. 5. 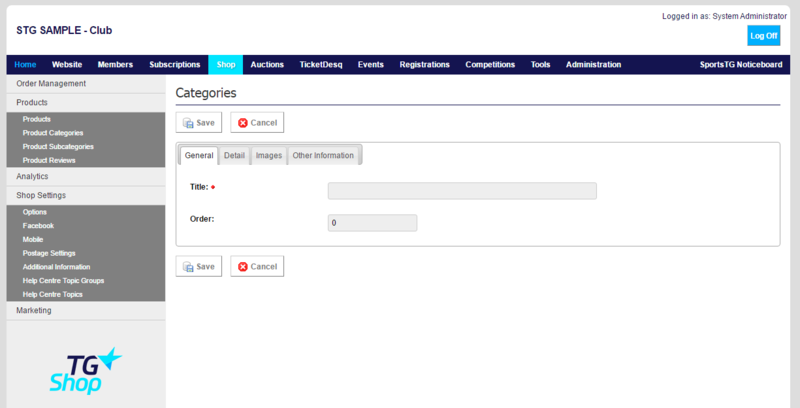 Once you have completed all relevant information for the category, click Save. Note: Product Categories become the menu items on your Shop store, so it's important to ensure that these categories are organised efficiently so that customers can find products easily on your store.